–What will be the output of the query below? –Will it return an error? What will be the output of the query? Will it return an error? Please explain your answers. This query will succeed compilation and execution. The output will be similar to the one shown below – first two columns will be named “EmployeeId”, followed by “Rate”, “PayFrequency” and finally “RateChangeDate”. The query succeeds because column aliases do not affect query evaluation in any way – they are only for representational purposes. The real problem would come when the aliases are used in an ORDER BY clause or in another query as a sub-query or CTE. The column ‘EmployeeId’ was specified multiple times for ‘HumanResourcesPayCTE’. This small twist in the question was enough to send the candidates scurrying to re-read the Books On Line! I hope you found the post useful. [EDIT: February 19, 2013, 14:20 IST]: Added clarification to the reason as to why ORDER BY returns an ambiguous column name error. This entry was posted in #SQLServer, Blog, Imported from BeyondRelational and tagged #SQLServer on February 18, 2013 by nakulvachhrajani. The solution is to use the table aliases in the ORDER BY the same way they were used in the SELECT statement. This dis-ambiguates the column. @Marc: Absolutely. For the ORDER BY clause, that’s the solution (in fact, I advocate the use of qualifying aliases in all queries – all objects, all columns). This clarification has been added as an edit to the post. The twist to the tale in this post was whether using the same column alias would confuse the SELECT statement or not. Generally, novice developers tend to think that because the human mind would get confused by looking at two columns of the same name, SQL Server would too. 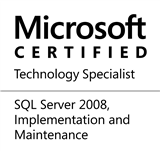 But that’s not the case – it does not make a difference to SQL Server as to what name/alias a column is given for representational purposes in the result set as long as it’s coming from a properly qualified source. It does become a problem though when the result-set is used in another query as a CTE or sub-query. @Marc: Yes , Agree with you.